At the Heiman Law Office, we cover a wide range of cases, from family law areas such as divorce and child support disputes to drug offenses and traffic tickets. We’ll determine the best case scenario for your legal situation, whether that means settling favorably out of court, an optimal plea bargain, or going to trial on your behalf. Soldiers stationed at Fort Riley and students at Kansas State University can take advantage of our convenient location in Southeast Manhattan, Kansas. We also work with clients from all over central Kansas, including Lyon County and its surrounding areas. From Emporia to Junction City to Manhattan, we offer first-class legal advice to those seeking a competent and professional attorney. When you need a lawyer, it’s usually not by choice. Whether a cop pulled you over for speeding or you’ve been accused of a more serious, violent crime, you’ll need someone who is willing to defend your case and stand by your side in a court of law. Attorney Nicholas Heiman has a decade of experience spanning several aspects of the law. If you’re facing charges or going through a tough divorce, know that Nicholas will prepare a personalized case with your best interests in mind. Separating from your spouse? Familiarize yourself with Kansas divorce procedures. We can help if you’ve been accused of driving under the influence or without a license. Recently accused of being in possession of drugs? Learn more about your rights. If you’re in the middle of a visitation or custody battle, attorney Nicholas Heiman can help. 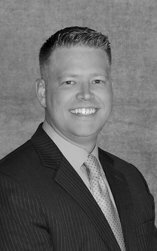 Nicholas Heiman has diligently worked since 2005 as both a Lyon County prosecutor and a criminal defense attorney. Having worked on both of these sides of the courtroom, his broad knowledge of the legal system can provide you with the best defense possible. Whether you’ve been arrested for your second DUI or believe the court hasn’t issued fair child custody on your behalf, Nicholas will walk you through the processes and make sure you understand your options. The single best reason to choose Heiman Law is the expertise and care we provide. We will do everything we can to help. At the Heiman Law Office, we know finding the right experienced lawyer for your specific needs can be tough. Attorney Nicholas Heiman is familiar with several areas of Kansas law, covering traffic tickets to violent crimes, including first-degree murder. No matter how small or extensive your situation may be, Nicholas has your best interests in mind and will prepare a competent defense for your case. When you choose the Heiman Law Office, you know you'll be able to work closely with our lead attorney. Hiring a smaller firm, such as the Heiman Law Office, you'll be frequently updated with new findings and outcomes as your case progresses. Whether you need to draft prenuptial agreements or are ready to sign divorce papers, Nicholas Heiman can help. The divorce proceedings in Kansas are particularly complex, and you’ll need an attorney on your side who’s well-versed in the complicated laws to work with you during this tough time. Nicholas can also help with a number of other family-related legal issues, ranging from helping you gain full custody of your child to ensuring your child's other parent is paying their portion of child support. Driving under the influence, driving while suspended, drug possession and other types of criminal charges can have serious consequences. To protect your future and prevent heavy fines or jail-time, you’ll need a lawyer who has worked on several of these cases before. Nicholas Heiman has practiced for more than 10 years, and at our law firm, your case will never be handled by anyone less than our senior attorney. Nicholas’ time spent as a prosecutor in his early years of law practice, so he knows what your opponents are thinking and how to respond to your legal predicaments. Using his knowledge, he can plan a solid defense because he’s worked their side of the courtroom. Why Choose the Heiman Law Office? A smaller firm means more personal attention to your case. Work with our senior-level attorney, never a junior or associate. Dedicated to figuring out what's best for you until the very end.